Following its exciting grocery sampling treat, Calbee rolled out another NAKS Level stunt to continue to delight its snack-loving fans. This time, the potato chips brand visited members of a university theater club, and put their acting skills to the test with a special drama class activity. Calbee teamed up with Far Eastern University’s (FEU) theater organization, FEU Artist Connection Theater Guild, to hold an acting activity with its members. Unaware of the surprise that was to unravel, participants were asked to perform a dialogue with a standee of Calbee celebrity endorser, Yassi Pressman. As the young actors and actresses were passionately delivering dramatic pieces about heartbreak or jealousy, the real Yassi suddenly appeared from behind the scenes and continued the script. Following the drama stunt, Calbee held an acting workshop where the TV and movie actress Yassi shared helpful tips on how the club members can enhance their skills as performers and actors. The students also enjoyed their favorite Calbee Honey Butter and Wasabi Potato Chips during the session. “In line with our NAKS level campaign, we took this chance to challenge the students of FEU to take their acting skills to the next level. We wanted them to share and enjoy an extraordinary experience with Calbee,” shared Kate Barrios, Calbee-Universal Robina Corporation assistant brand manager. Check out how the FEU students performed with Yassi at (https://www.facebook.com/JacknJillCalbee.PH/videos/1950306418395342/). The fun and excitement will not stop as Calbee brings you to the NAKS Level with its best-tasting potato chip snacks and one-of-a-kind activities. Stay tuned for more surprises by following Calbee’s Facebook (@JacknJillCalbee.PH) and Instagram (@CalbeePH) accounts, and Universal Robina Corporation’s website (www2.urc.com.ph). 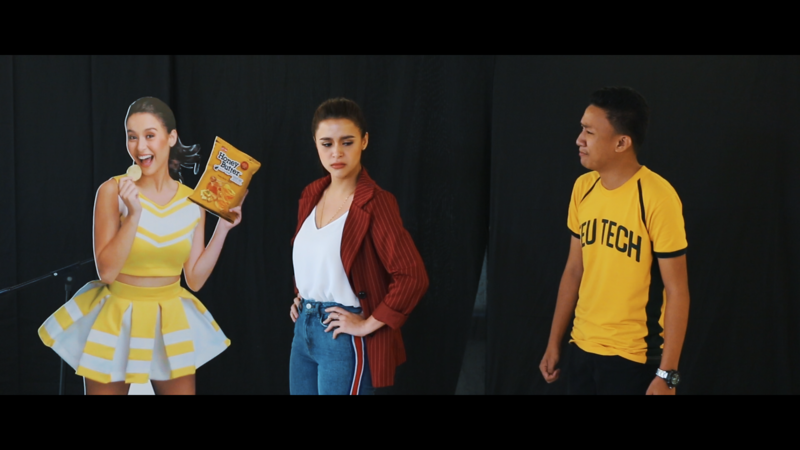 Members of the Far Eastern University (FEU) Artist Connection Theatre Guild were surprised with an opportunity to showcase their acting skills alongside Calbee brand endorser and celebrity Yassi Pressman. Snack brand Calbee with its endorser, celebrity Yassi Pressman, surprised theater club students with a “NAKS Level” drama workshop.